The first three weekdays of any 31-day month are repeated 5 times within that month. So, any month that has 31 days and begins on a Friday has 5 Fridays, 5 Saturdays, and 5 Sundays. And this happens much more often than every 823 years. Proof in cold print: July 2011 and July 2834 are not even the same. Have a look at our calendars and take it to the test! The next time that the 2011 calendar repeats itself is in the year 2022, which is only 11 years later. What’s more, a calendar month that contains 5 Fridays, 5 Saturdays and 5 Sundays occurs nearly every year: Both July 2011 and March 2013 have 5 Fridays, Saturdays and Sundays. The next July with same days as July 2011 is July 2016. 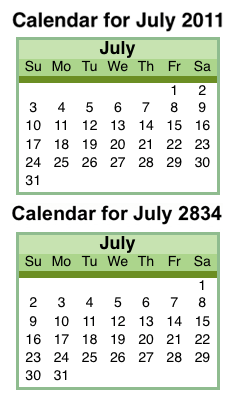 Even the claim that the year 2834 has the same calendar as the year 2011 is false (see picture). For instance, July 2011 has 5 Fridays, Saturdays and Sundays. 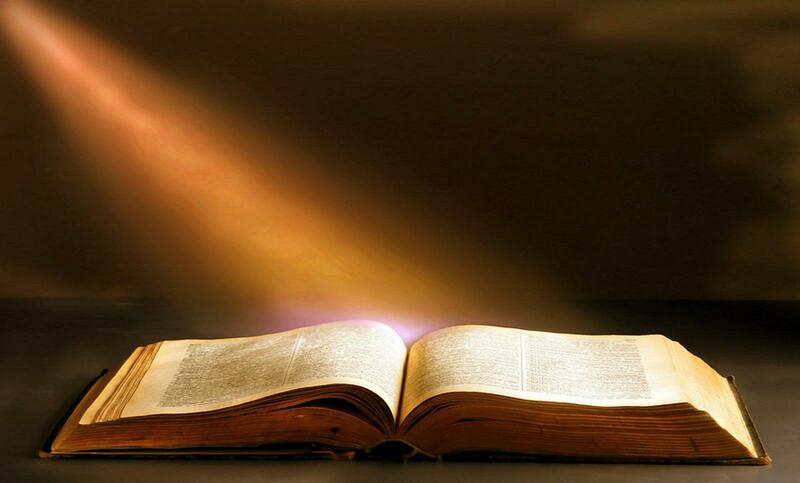 823 years later, July 2834 has 5 Saturdays, Sundays and Mondays. That is a 5th Monday instead of a 5th Friday. This year July has 5 Fridays 5 Saturdays and 5 Sundays. This happens once every 823 years. This is called money bags. This year, July has 5 Fridays, 5 Saturdays and 5 Sundays. This happens only once every 823 years. Every year has 7 months with 31 days. Each of these 7 months has three weekdays of which there are 5. There are 7 different days a month can start on. So on average, over time, each combination happens once yearly. But for each individual year, there are only 6 of 7 combinations, and two 31-day months start on the same weekday. In a common/regular year, January and October look the same. In a leap year, January and July look the same.